안녕하세요 Annyeonghaseyo family and friends!! Follow me as I serve a mission for the Church of Jesus Christ of Latter-day Saints in South Korea! I don't have much time but will close with my 3 favorite quotes of the week. 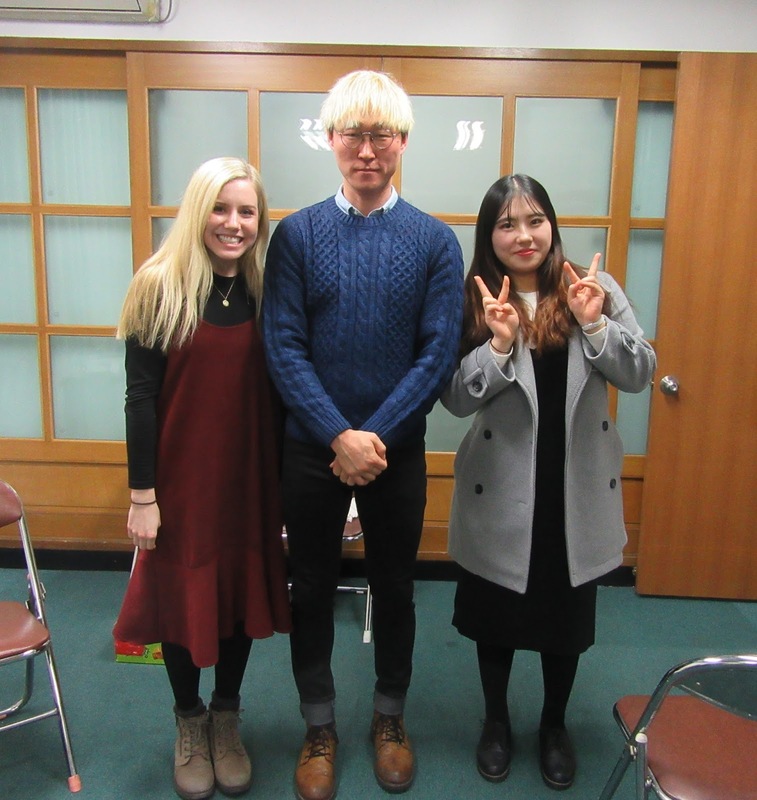 Pictures with our friend from Japan… Se-mi-aeh!! Today in Korea I am officially 23 years old. In Korea they all gain a year on January 1st, rather than their birthdays. So happy new year and happy birthday too I guess! This morning to celebrate we hiked 북한산 "North Korea Mountain." I can't believe it has already almost been one year since the last time I hiked it... so much has changed. I am so forever grateful for 2016. A year ago in the MTC, I could not anticipate all of the amazing experiences I would have and incredible people I would meet who would change and inspire me, bring me to love a new people and culture in Korea, and help me realize what is most important and special in this life. This week we met our investigator from Vietnam, who is only 19 years old, so cute (can speak a little English and a little Korean) and moved to Korea to study for 4 years. She started reading the Book of Mormon and noticed as Nephi prayed, he was able to have an answer and "conviction" (확신) that it was true. As we taught the Restoration lesson, her eyes got huge with excitement as she said, "I have 'conviction' too! I know why Joseph Smith needed to be a prophet. I want to read Book of Mormon from 'here' *flips to front of Book* to 'here' *points to back and points* and share it with my family... then the whole world." She is so cute! I know that the Book of Mormon is true. When we read it, we are happier. We can find direction, answers, and feel God's true, unconditional love for us. I know that Heavenly Father loves us and will answer our prayers as we trust in the promise in Moroni 10:3-5. We can all have "conviction" too. Happy New Year! As they say in Korea, "Receive many blessings in the New Year!" Merry Christmas everyone! Caitlin sent this email on Christmas but we were out of town so are just getting this out. Thanks for your continued support. Merry Christmas!! It was so amazing to spend my first Christmas here in Korea. Sorry it's been a while… lots to update! I met my cute greenie last week, Sister Wright! 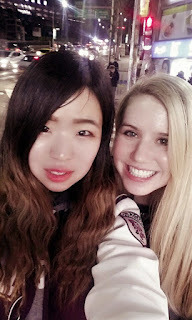 She is from Utah and we are now the two blonde missionaries walking around Seoul. It's so fun! We celebrated Christmas with our ward Christmas party! The highlight was the primary kids doing their hula dancing (our Bishop's daughter is soooo cute! ), our ward cello quartet and the nativity the ward put on. 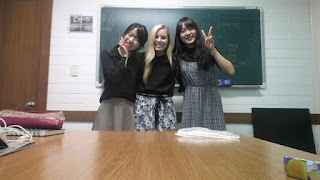 We ate Kimbab and Fried Chicken!ㅋㅋ At Sacrament meeting the missionaries sang Silent Night, planning on the 1st and 3rd verse with a piano solo in between... we had zero time to practice, which I forgot and started singing the 2nd verse on my own as a solo... so embarrassing but no worries because our investigators came to church and we were so happy!! So amazing to call my family yesterday!! I have been so overwhelmed with gratitude lately for all Heavenly Father has blessed me with. He has given me the most amazing family, the opportunity to find real happiness through knowing and living the gospel, and the experience of coming to Korea and meeting the most incredible people. I am so truly happy and grateful to him and my Savior, Jesus Christ. I know that He lives. Through Him we are never alone. We can always find truth, comfort, guidance, forgiveness, healing and real, lasting joy. It was amazing to share that message this Christmas and to see the light in others’ eyes as they realize and come to know their Savior personally through feeling His unconditional love. I love you all and hope you had an amazing Christmas!! Hi guys! Cait didn’t have time for the group email this week but she wanted to share some fun pictures. She loves her new greenie, Sister Hailey Wright from Utah. She says she is really cute, likes to work hard & they get along great! Since they are the only 2 blonde Sisters in the mission, people think they are really “Sisters”. She also sent some great pictures with her old Companion, Sister Kim Won Jin & their investigators celebrating some Christmas cheer. Thank you for your continued support for Sister Davis… hard to believe she has been a missionary for over 13 months. If anyone has a chance to email her this week for Christmas, I’m sure she would love to hear from you at caitlin.davis@myldsmail.net. BEST NEWS: Brother 채현식 (Chae Hyeong Shik) was Baptized... Amazing!! Hiii~ Happy December!! This week was sooo so good!! Good news: It is freezinnng...and we finallyy got our boiler fixed in our house after 2 months of cold showers and floors (the floors are heated in Korea~^^) BEST NEWS: Brother 채현식(Chae Hyeong Shik) was Baptized on Saturday!! Amazing. 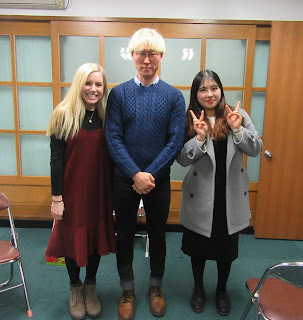 He shared his testimony and talked about the first time we met. It was on the subway, loud, his first time talking about God and prayer on a subway... but he remembered a warm feeling as we talked and kept wondering what it was after we left. We were 3 stops late past our station (ㅎㅎ) so quickly had to leave = no name, no number, but he had our Halloween party invitation and came the next day!! He said every time he has met the missionaries, come to church, or read the Book of Mormon, he has found that warm feeling again. Now that he is baptized and has the Holy Ghost, he can always have that feeling with him!! Funny side note. He left his baptism straight to 광화문 to protest the President... (literally millions of people... basically all of Seoul gets together every Saturday night to protest). ㅋㅋㅋ We also celebrated at the Sonksen's house last night for a Christmas open house with Marina, Lilo and Karla. 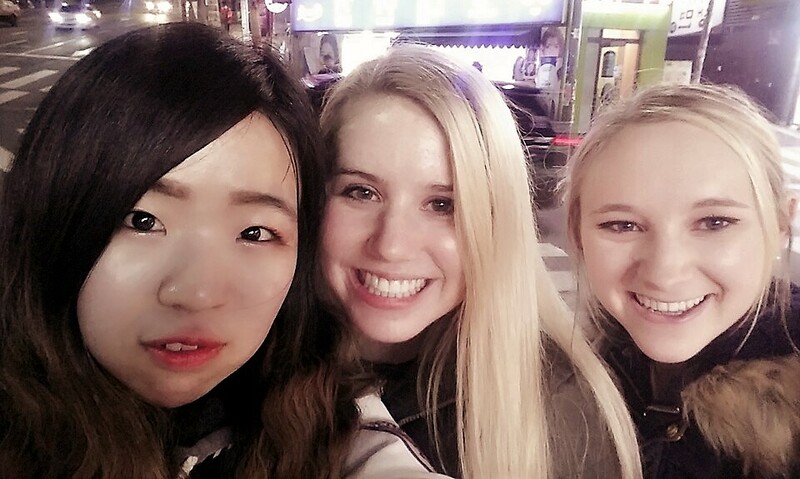 I saw Min Su, Na Hyeah (Converts from Sinchon - it's been soooo long!!) and her sister who was baptized Saturday night too! Min Su told me, "Davis Chamaenym. Our houses will be next to each other in the Celestial Kingdom!" This week at MLC, we watched the video of Peter walking on water, (always love this story) but I noticed something different this time. Peter asks Christ if he can come out on the water, and right away Christ looks at him and just says, "Come," not thinking, hesitating... completely confident that Peter can do it. Sometimes when we try something new, receive a calling, keep commandments, experience a trial... we're good at focusing on our weaknesses, fears, worries doubts. We look at the storm, like Peter, instead of focusing on our Savior. But we need to remember that during those times, Christ has already looked at us with confidence and said, "Come." He trusts us, believes in us, knows we can do it. Why does our Savior sometimes have more faith in us than we have in ourselves? Always remember who's with us and who's rooting for us! Have a good week!!!! Our cute investigator MiJin Kim!! She's an artist and moving to New York next year!! Her husband Bae Gyong Oo! President and Sister Sonksen’s Christmas party!! HAPPY THANKSGIVING!!! 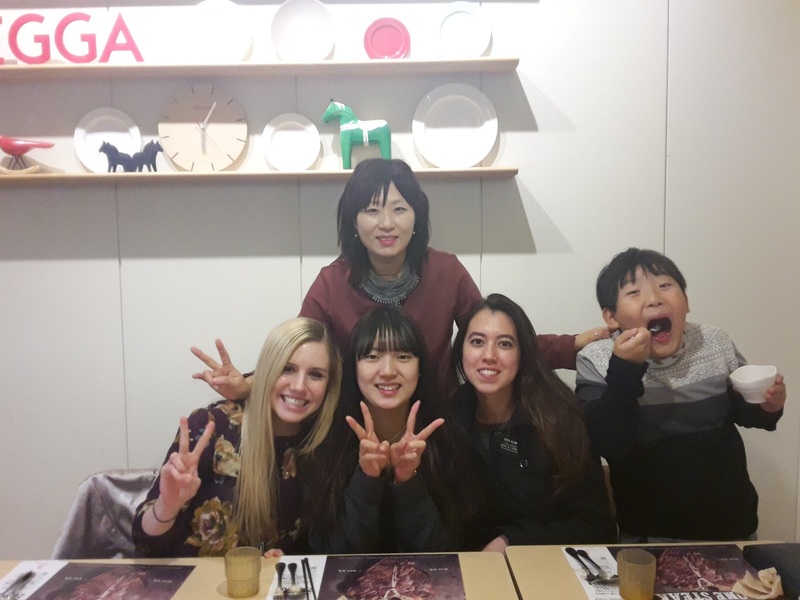 So happy my Korean friends DORIS and Rylee could spend Thanksgiving with my family in Arizona! Thanksgiving does not exist in Korea. We asked our English class and not a single person had even heard of it! Literally. 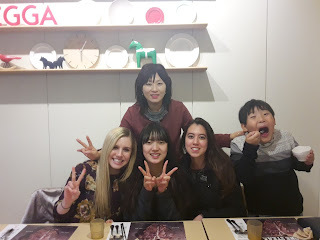 We taught about gratitude, blessings and 감사 prayers... along with shopping, football and food. We celebrated Thanksgiving with a huge service project... making Kimchi!! :) Love Kimchi!! Smelled like it for 3 days. Then later, we continued celebrating at our Stake President’s house with Marina and our investigators… and ate a beautiful, amazing Thanksgiving dinner!! We also ended with the first snow of winter in Korea!! COLD. Soooo so freezing... but also beautiful! Also exciting news: our miracle investigator is getting baptized this weekend!!!! The baptism was pushed back a week because he wasn't able to come to church, but he is SO prepared and excited for this weekend!! It's amazing how drastically my prayers of gratitude have changed within just one year. This week we met with our English class investigator. 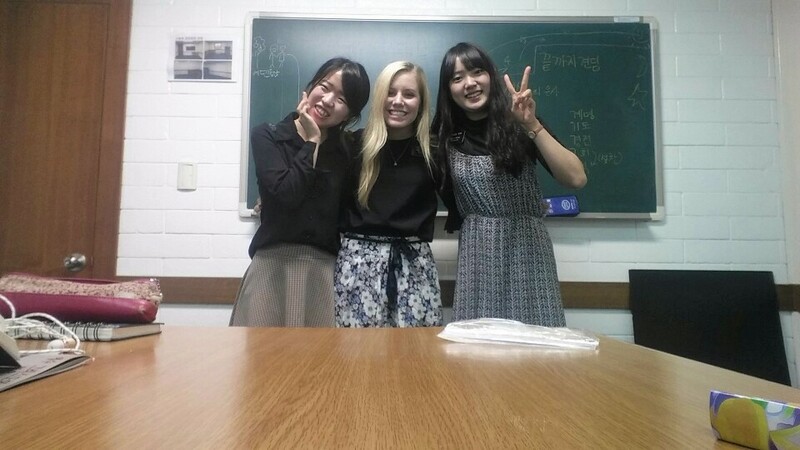 For the past 2 weeks, we started meeting her individually outside of English class to read the Book of Mormon stories book in English. She LOVES it, and has opened up so much through the Joseph Smith story. At one point we asked her what it would mean to her if this story was true. She paused, looked up, and said "It's...truly...a miracle." In that moment, the spirit literally enveloped us, witnessing what a miracle the Book of Mormon and Restoration is and what it means for us. We are so lucky and blessed to have this gift. It answers all questions, provides us with hope and strength, teaches us how to find happiness. I felt it especially this week, I can see its effects on the people I have met in Korea, my family, and now our investigator who is feeling and recognizing the spirit for the first time. It is a miracle! Have a good week! My favorite holiday is almost here!! Seoul doesn't know Thanksgiving, but they already set up for Christmas 3 weeks ago!! :) So excited! We didn’t take any pictures in Seoul this week, but here are a few my mom sent me. All of these mission friends stayed at my house in AZ for Jamie Wilcox’s (my greenie trainer) wedding. 안녕하세요!!!! This week was so amazing!!! The weather is perfect and fall is so beautiful. The leaves are all different colors and bigger than my head, twice. Sister Kim gets so embarrassed when I stop on the road with a huge gasp and say "wow!!" Then pick up the biggest leaves. I've never seen anything like it!!! I'll begin with exciting news: our investigator is getting baptized!! He is actually the elders investigator now… but it was a miracle and I want to share how we met him. A little over 2 weeks ago, Sister Kim and I were doing weekly planning and talking about baptismal dates for the next week. We decided to plan for a miracle, a baptism on 11/26 and wrote next to it "할로윈 파티 참석한 사람" - person who comes to our Halloween party! Right after we finished planning, we were on our way to the office and met a couple on the subway. We had a really amazing conversation and ended up going 4 stops past our stop. Before we could get their name or number we had to run off, but gave them our Halloween party invitation… praying they would come!! At the very end of the party, brother Chae Hyeon Shik came!!! We were able to meet him 2 more times, then he came to church, and we referred him to the elders (we aren't allowed to teach men). This week he accepted a baptismal date for the 26th of November… in 2 weeks!!! He is so prepared and we are all so excited! HAPPY 16TH BIRTHDAY TO MY BEAUTIFUL SISTER PK, Kailaday!! Everyone watch out for my car, BO :/ Also HAPPY WEDDING WEEK TO MY TRAINER JAMIE WILLCOX!!! I love you!!!! Also I can't believe it but I hit one year on the mission this Friday... time is so fast!!!! Love my MTC Comp!!! Hard to believe I met Sister Mulitalo 1 year ago. 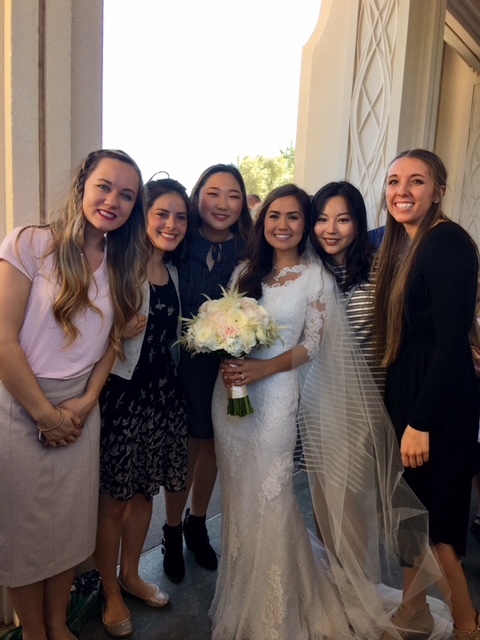 Temple time with Sister Kim Won Jin.